Radium 20000K metal halide bulb offers excellent coloration and good intensity. It is crisp-white with a strong blue tint. It brings out the fluorescent pigments in corals nicely. Fluorescent supplementation is usually not necessary, but can be used for added intensity and to simulate dawn and dusk. An electronic ballast, magnetic pulse-start ballast or magnetic HQI ballast is required to ignite this bulb. This bulb is white with a blue tint on a magnetic HQI ballast. It will burn more blue on an electronic ballast or pulse-start ballast. An excellent choice for reef tanks 18" or deeper. Metal halide lamps of the same kind are different colors? Metal halide lamps operate by passing an electric arc through an arc tube that excites particles in the arc tube. When the metal particles reach an excited state they emit energy in the form of visible light. It takes 100 hours of operation before the metal particles stabilize and become a consistent color. All metal halides require 100 hours of operation before color and light output stabilize. All metal halides inherently have a slight color variation between individual lamps. The metal halide lamp fires and then either burns dull or the arc extinguishes? Usually the ballast and lamp are not receiving enough power. Metal halides pull a high current. Usually the problem is either there is too great a load on the circuit or the extension cords are of a small wire size and can`t handle the power needed by the ballast. Use only heavy duty extension cords and try running a ballast off a circuit from another part of the house. Do I need a cover shield between the lamp and the aquarium? Metal halide lamps produce a large amount of UV and also have a potential of exploding. The single ended metal halide lamps have an outer jacket which eliminates most of the UV. 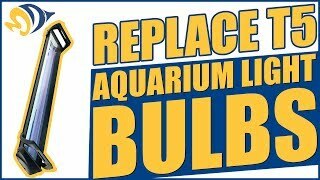 However, they have an inherent risk of exploding and UL requires metal halide lamps to be enclosed. On double ended lamps there is no UV shield. Double ended lamps must have a glass shield or major eye injuries including blindness may occur. Can I operate a ballast and lamp together which are designed for different wattages? Each wattage lamp and ballast are designed together for optimal performance and safety. If you over drive the lamp it may explode and shorten the life of the ballast and lamps. If you under drive the lamp it will also shorten the life of both components and also may explode. Do not mix different type wattages of lamps and ballasts. NOTE: The bulb should be handled carefully. Using soft gloves is a good idea to keep finger prints off bulb. This is during installation and replacement. *Requires HQI ballast, electronic ballast or pulse start ballasts to work properly. Radium was founded in 1904 in Wipperfürth, situated abt. 40 km north-east from Cologne in the `Bergische Land`. Already a short time later the production of lamps with high-quality tungsten wires started here. Due to its know-how Radium advanced fast to one of the most important companies of the region and nowadays counts among one of the most experienced brand-name manufacturers of the lamp industry.